Philomena couldn&apos;t resist sneaking glances at Rainhart while the negotiations went on around them. Rainhart seemed to have recovered from his strange mood of the previous evening: his face was an unreadable mask, but he wasn&apos;t ruffling his hair, which usually denoted agitation. Holle sat between Philomena and Tancred, emanating innocence. At one point in the morning, Rainhart let out a bark of laughter. When Tancred broke off what he was saying and stared at his cousin, Rainhart, bowed his head. "I do apologise, your majesty," he said. "Would you care to share with us what thought inspired you to such amusement?" "I beg your majesty excuse me," said Rainhart. Tancred narrowed his eyes and turned back to the Mittelwaldes, sitting across the table. Philomena watched the Baron&apos;s sister--the mother of his heir--like a cooper supervising wine being poured into a barrel. She was confident she had done her work carefully, but perhaps too carefully given the woman&apos;s silence now. In the end it was her husband who said, "Please give my wife and me a moment to discuss what you have said." Half an hour later, they came back and agreed to ride to Breg under Tancred&apos;s banner. Tancred broke into a wide smile, and darted a triumphant look at Rainhart. Rainhart inclined his head and opened his hands in acknowledgement. 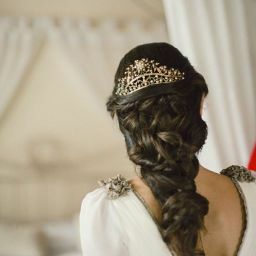 While Tancred went around the table to clasp hands with the Mittelwaldes, Philomena sidled up to Rainhart. Heart pounding, she said, "Why did you laugh?" "Princess?" said Rainhart, raising his eyebrows at Holle. Holle glanced at Tancred to make sure he was out of earshot, then said, "I gave the husband a bump in the right direction," she said. "I did the same for the wife," said Philomena. "Why didn&apos;t you say anything?" "Why didn&apos;t you?" Holle countered. Philomena bit her bottom lip. "I told Rainhart." "Never mind," said Rainhart. "I suppose we all have our secrets, don&apos;t we?" "And wouldn&apos;t life be dull if we didn&apos;t?" Holle said with an airy wave. Philomena looked at the siblings. From Holle&apos;s demeanour alone it would be impossible to tell anything had changed between them. Rainhart was less skilled at hiding his thoughts. "Well, as long as Tancred doesn&apos;t find out." Rainhart raised his eyebrows and gestured with his chin. 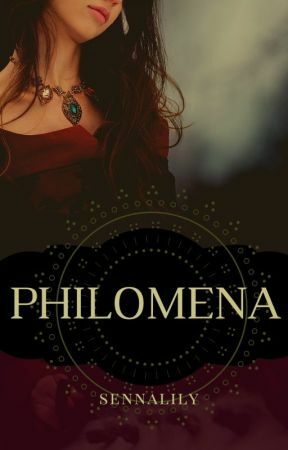 Philomena snapped her mouth shut and turned. "Congratulations, your majesty," she said. "Thank you." Tancred smiled. "There will be some delays getting the Mittelwalde men outfitted, but given their reluctance I think it is wiser if we stay rather than going on ahead." "Suits me," said Rainhart. "I will enjoy another few nights in a proper bed." "As opposed to the mattress that your servants have been lugging on and off wagons, along with tapestries, rugs and furniture to outfit your highness&apos; tent?" said Holle, raising her eyebrows. Rainhart followed Philomena through the hallways. When they were alone he said, "When will you tell Tancred about Holle?" "Not yet," said Philomena. "Although I couldn&apos;t sleep last night for thinking about it." Rainhart nodded. "It would be better to wait until we see what the situation is in Breg." "But if we wait too long, Tancred will see us as complicit in her deception." "You asked me to trust you, and I do," said Rainhart. "You&apos;ll know when to tell him."